Florida E.N.T. & Allergy will soon welcome a new physician assistant! Kimmy Nguyen, MMS, PA-C is a Florida native, originally from St. Petersburg. 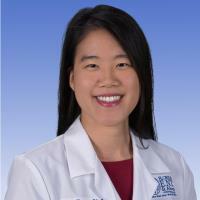 She received her Bachelor's degree from the University of South Florida, and her Masters of Medical Science degree from Nova Southeastern University in Jacksonville. Kimmy is fluent in Vietnamese and in her free time enjoys traveling, cooking, and spending time with her family. She will be joining our team full-time shortly, and we cannot wait to have her on board!